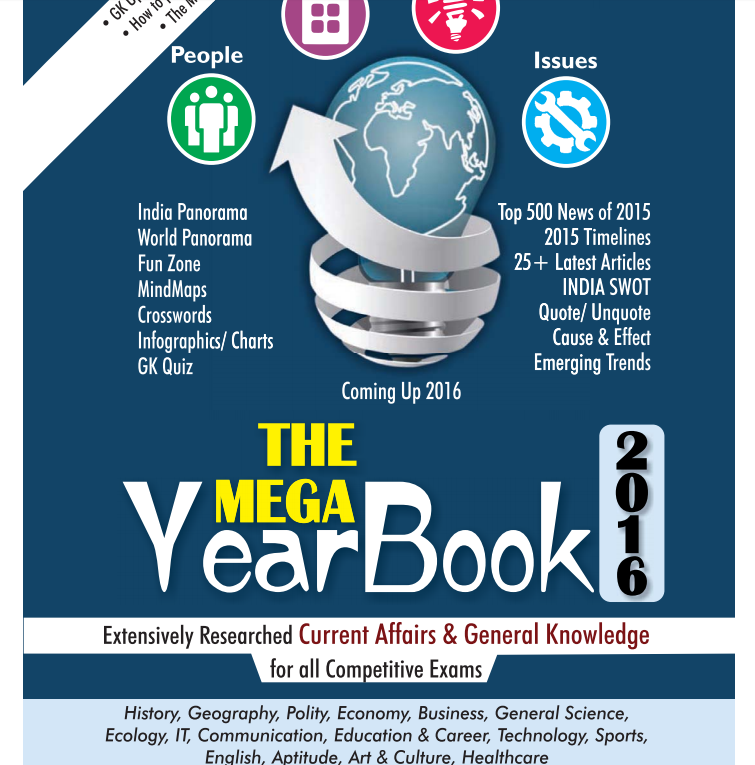 Today we are sharing a very important e-book “The Mega Yearbook 2016 ” by Disha Publications. This book contains all important current affairs along with basics of Static part (History, Geography, Polity, Economy, Science and Technology and many more) of GK. You may download this e-book from the link provided below.